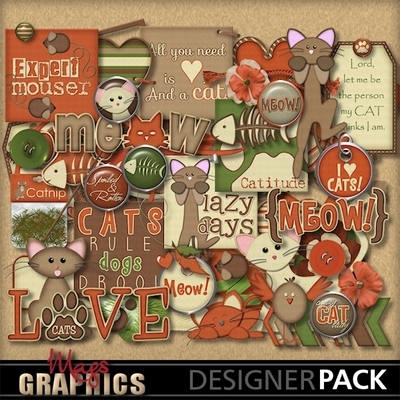 This one is for all of the CAT LOVERS out there! 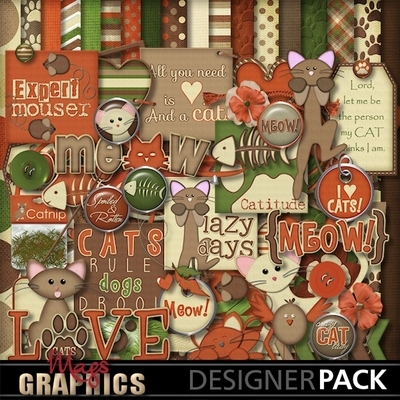 It's a 75-piece kit that includes 18 12" papers, 12 cat-themed elements, 4 frames, 2 buttons, 7 flair, 2 staples, 5 journal cards, 4 hearts, 4 flowers, 1 chevron, 6 ribbons, 2 strings, 5 tags, & 3 titles. 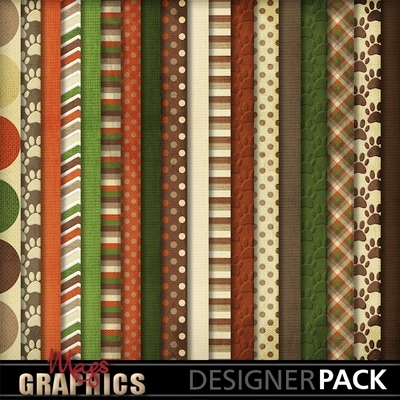 I also have a "Must Love DOGS" kit in the store!